The descendant of a slave, who has long been depicted in a widely circulated historical photo, says that Harvard University exploited her ancestor when an academic used the image, along with others to try to prove that Blacks are inferior. 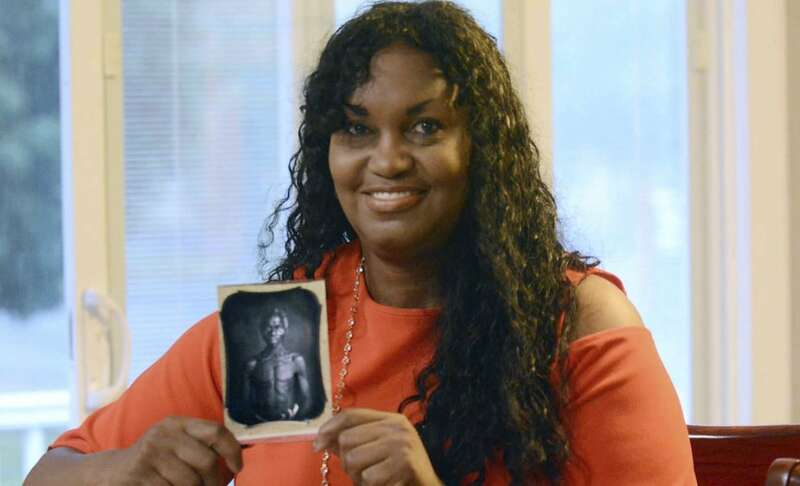 Tamara Lanier, a retired probation officer from Norwich, Conn., wants Harvard to return the daguerrotypes of her great-great-great grandfather, a South Carolina slave named Renty who hailed from the Congo, and his daughter, Delia. She had filed suit against Harvard for the return of images but says the Ivy League institution has not been cooperative. “They’ve been just dismissive every step of the way”, Lanier, 54, told TheGrio in an interview from New York about Harvard’s position on the images. Since learning of Renty’s existence about eight years ago and about the fact that Louis Agassiz, a 19th century Harvard biologist and geologist, used photos of Renty and Delia, to bolster his theories about Black and African intellectual inferiority, Lanier has tried to compel the university in Cambridge, Mass., to return what she views as her property. The lawsuit filed Wednesday in Middlesex County Superior Court in Massachusetts seeks the immediate return of the images as well as unspecified punitive damages and compensation for Lanier’s pain and suffering. When a representative for the university indicated in Lanier’s local newspaper, the Norwich Bulletin, that Harvard would not be returning the images, she reached out to civil rights lawyer Benjamin Crump, who teamed up with fellow civil rights attorney Michael Koskoff on the case. The two announced the lawsuit at a press conference in New York on Wednesday. “All of these institutions — Harvard, the Ivy League — were complicit in slavery and so once we do a lawsuit like this, it is just a treasure to have somebody like Ms. Lanier who was able to overcome the very essence of one of the principle foundations of slavery and that was to not only destroy you, your humanity, but also any legacy or family heritage,” Crump told TheGrio. Jonathan Swain, a spokesperson for Harvard, said via email to TheGrio early Wednesday afternoon that the university had not yet been served and because of this, would not immediately be in a position to respond. In 2017, the university hosted a national conference exploring the relationships between institutions of higher education and slavery. Former university President Drew Faust publicly encouraged exploration of this topic and suggested that academia should “approach the past with humility.” Lanier, however, says Faust would not respond directly to her requests to have the university study her ancestral research. Lanier’s journey began as her mother’s health failed several years ago. Before her mother, Mattye Lanier, passed in 2010, she told her daughter about an ancestor named “Papa Renty” and asked her daughter to research the family history. “They called Papa Renty ‘The Black African,’ ” Lanier recalled of her family. Lanier enlisted the help of a man who ran an ice cream shop in her Connecticut community and who was a history buff. Through him, she learned about “Papa Renty” and that he’d been enslaved in Columbia, S.C., on property of the family of B.F. Taylor. The friend also found an image of Renty on the Internet. That was how Lanier learned about Agassiz and the Harvard connection. Crump and Koskoff say that Agassiz commissioned the photos as part of his work. Louis Agassiz (1807-1873), was a noted scientist who was known for his opposition to Charles Darwin’s Theory of Evolution and for his racist views, that were considered extreme even for his day. He consistently balked at the idea that all humans belonged to the same species category, an idea that even in the 19th century was rapidly losing favor among scientists. 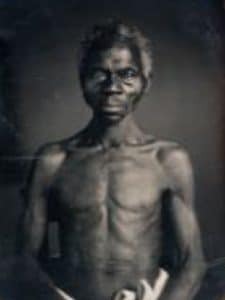 The daguerrotypes of Renty, Delia and other slaves were taken in 1850 when Agassiz visited South Carolina to meet with other scientists to discuss what he considered the “separate creation” of races, according to a biography. In a presentation, he declared his theory that humankind did not have a common origin. The concept has long since been debunked by the widely accepted “Out of Africa” theory which states all of humanity originated in Africa about 150,000 years ago and began to migrate roughly 60,000 years ago. But Agassiz continued to press his theories throughout his career. In 1860, he founded the Museum of Comparative Zoology at Harvard, which still sits on the campus today. However modern viewpoints have proven to be unkind to Agassiz. Many believe he was “a fake scientist and who promoted a theory of racial segregation, of racial inequality, who felt that Black people were a different species,” Koskoff said. TheGrio, Lanier and the lawyers told reporters at a Manhattan press conference that it is important to remember that Lanier established that Renty was an ancestor before she discovered the photos that are at Harvard. Lanier told the reporters that she has reached out to Harvard numerous times over the years to no avail.